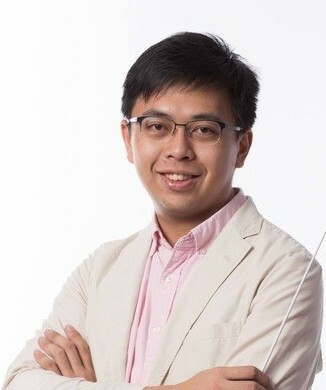 William Wai-Leung Chung, baritone, choir conductor, and music teacher, holds an MMus in choral conducting from the Michigan State University, and a BA in Music from the University of Hong Kong. He studied conducting with Rolf Beck, Stephen Coker, David Rayl, Jonathan Reed, Helmuth Rilling, and Sandra Snow, and voice with Peter Lightfoot and Lan Rao. He began his career as the conductor of the Hong Kong Polytechnic University Students’ Union Choir and was the conductor of the Greeners’ Sound, and instructor of the Hong Kong Treble Choir. He now teaches music at Shatin Methodist College, and conducts the Hong Kong Polytechnic University Students’ Union Choir. William was granted graduate assistantship during his study at Michigan State University. During his study at the University of Hong Kong, he was given the Helen Moore-Williams Music Prize, Hong Kong Children’s Choir Scholarship, and the Bernard van Zuiden Music prize, in recognition of his outstanding academic performance and contribution in vocal and choral arts during his study at the university. He was awarded the best conductor in 2012 Busan Choral Festival and Competition while leading the Greeners’ Sound attaining a bronze prize in classical mixed voice category. The Greeners’ Sound also attained a championship in 65th Hong Kong Schools’ Music Festival and Gold (A) Award in 2013 Hong Kong International Youth and Children’s Choir Festival under William’s conductorship. Other than his conducting, as a singer he had performed abroad with the World Youth Choir in China, Belgium, the Netherlands, Germany and France. He currently is a member of Tallis Vocalis and performs at various occasions as a freelance singer.